Since the early twentieth century, Iranians have constructed various pathways for approaching the realm of the “metaphysical” in terms that they themselves recognize as rational or even scientific. At the heart of these attempts stands an image of so-called “gullible women,” a category of social persons who must be reformed or excluded if rational understanding of the metaphysical is to become possible. 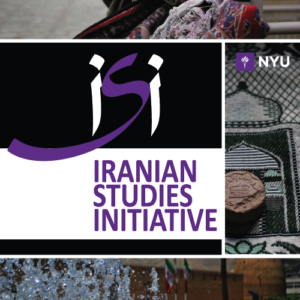 While the circumstances of Iranian women have undergone drastic transformations over the past century – among other things, they are more educated, publicly visible, and socially active than at any other time in history – the figure of the “gullible woman” still erupts into public discourse from time to time. In his presentation, Doostdar will examine this image in relation to a series of shifts in the forms of spiritual inquiry and the social contexts within which they are pursued.